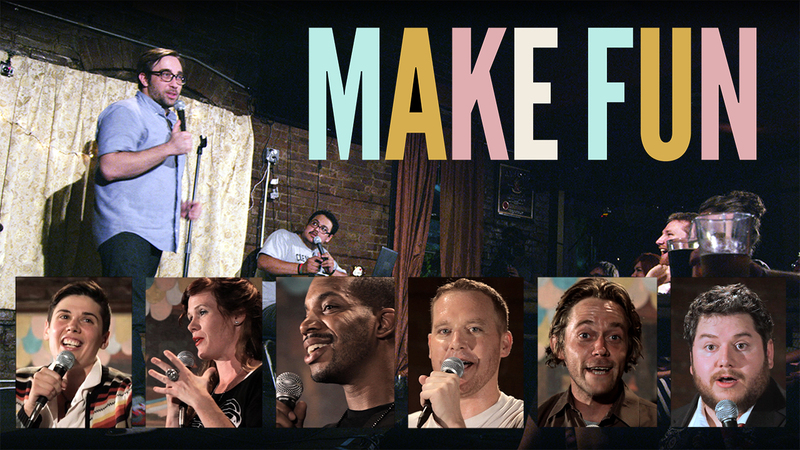 "Make Fun" is a crowd-funded, independent comedy special that takes the form of a documentary/concert film. It shows the growth of Cleveland's independent comedy scene mixing vignettes, interviews and footage from one live show featuring some of its major players. The project was funded through a kickstarter campaign, and most of its backers were the very people in the audience. "Make Fun" gives viewers a look at the less-exposed world of standup comedy in a smaller city, where the talent level is high and the performers rely on their community, instead of an industry. The story of the rise of Cleveland's independent comedy scene.